New long-range hurricane forecasts from the Colorado State University and Accuweather forecasting teams both suggest a 2019 Atlantic hurricane season with a roughly average level of storm activity is most likely. It’s important to note that these long-range hurricane season forecasts are not to be solely relied upon for the serious business of risk transfer and reinsurance decision-making. 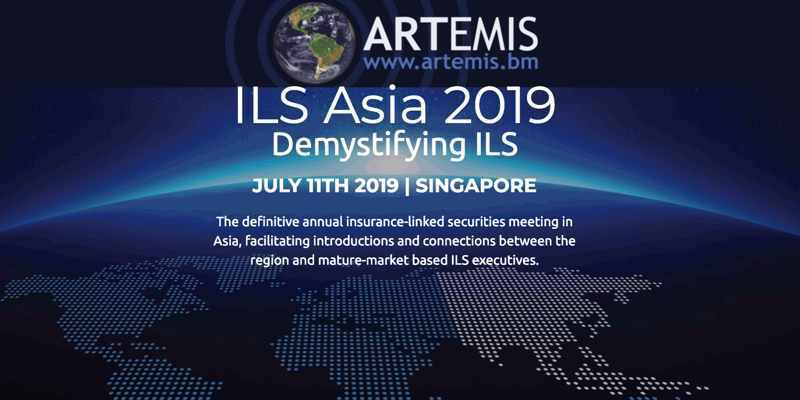 However, they are a useful indicator of atmospheric and climatic conditions, providing another input to the decisions that reinsurance and ILS sector executives have to make as the Atlantic and United States hurricane season fast approaches. So far, the only long-range forecast we have is from WeatherBell, who opted to predict that there would be between 10 and 15 named tropical storms in the Atlantic basin in 2019, with 4 to 7 of them becoming hurricanes, and from 0 to 2 attaining major hurricane status. WeatherBell warned that the recently begun El Niño event’s strength and persistence could be a major factor in the eventual number of Atlantic tropical storms and hurricanes that do form in 2019. Accuweather, who released a long-range hurricane seasonal forecast yesterday, said that the current El Niño phase and intensity would be a factor, with it expected to continue through summer, including the months of August, September and October, when hurricane and tropical storm activity is typically highest. More frequent episodes of wind shear across the Atlantic basin are to be expected if this is the case, which can limit tropical cyclone development and intensification, Accuweather said. But they warned that the persistence and intensity of an El Nino is hard to predict. Kottlowski and Accuweather forecast 12 to 14 named tropical storms will form in the Atlantic basin during the 2019 season, with 5 to 7 forecast to become hurricanes, and 2 to 4 forecast to become major hurricanes. “This year, we think that there will be a few less tropical storms and lower numbers in hurricanes, but again, the old saying is ‘it only takes one’,” Kottlowski explained. Kottlowski also forecast between 2 and 4 tropical storm impacts on the United States during the 2019 hurricane season, but of course their intensity and location is impossible to predict. AccuWeather’s meteorologists said they will especially be monitoring the potential for development off the Southeast coast, the Gulf of Mexico and in the Caribbean. “Those are the areas that we will monitor very closely, not only in June, but because water temperatures are warm, we start looking at that even in April and May,” Kottlowski said. It is those warm and close-in sea surface temperatures that can be another wild-card in a hurricane season, as it means any tropical development that cross warm areas such as these has the potential to intensify close in to the U.S. coastline, which can be an obvious threat to reinsurance, insurance-linked securities (ILS) and catastrophe bond interests. The forecasting team at Colorado State University, led by Phil Klotzbach, has also released its first long-range forecast of 2019 hurricane season activity. 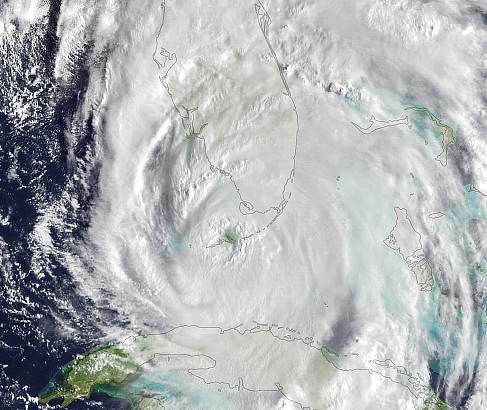 The team at CSU forecasts 13 named tropical storms, 5 hurricanes and 2 major (Category 3 or stronger) hurricanes will occur during the 2019 Atlantic hurricane season. CSU’s forecast is slightly below the median average, from 1981 to 2010, but is a in-line with the longer term average. It is below the near-term average of recent history however. El Nino is a factor in the Colorado State University hurricane forecast as well, of course. “The current weak El Niño event appears likely to persist and perhaps even strengthen this summer/fall,” the forecasters explain. “Sea surface temperatures averaged across the tropical Atlantic are slightly below normal, and the far North Atlantic is anomalously cool. Our Atlantic Multi-decadal Oscillation index is below its long-term average,” they continued. Of course “slightly below-average” in no way means a major Cat 5 hurricane couldn’t plough its way into a highly populated area of the U.S. coastline, so for reinsurance and ILS market interests these forecasts are directional at most. The CSU team forecast a 48% probability of a landfalling major (Cat 3,4 or 5) hurricane anywhere on the continental U.S. coastline, slightly below the average of 52%. For the U.S. East Coast Including Peninsula Florida the probability of a landfalling major hurricane is put at 28% for the 2019 season, slightly below the 31% average for the last century. For the Gulf Coast from the Florida Panhandle westward to Brownsville the probability of a major hurricane landfall is 28% this year, again slightly below the average of 30%. Also, the team forecast a 39% chance of a major hurricane tracking into the Caribbean in 2019, below the 42% long-term probability of this occurring in any given season. The probability of a lower category hurricane striking the U.S. coastline is much higher though, at 64% and for Florida and east coast areas 41%. They also note that these long-range April forecasts are the earliest they provide and have “modest long-term skill” in terms of accuracy. Adding these new forecasts to those we follow here on Artemis, currently gives us an Artemis average forecast for the 2019 Atlantic hurricane season of 13 named storms, 5 hurricanes and 2 major hurricanes. Time will tell as to how accurate that proves and how the forecasts change as hurricane season nears. More forecasts will be available over the coming weeks and we will detail them all on our dedicated 2019 Atlantic Hurricane Season page.